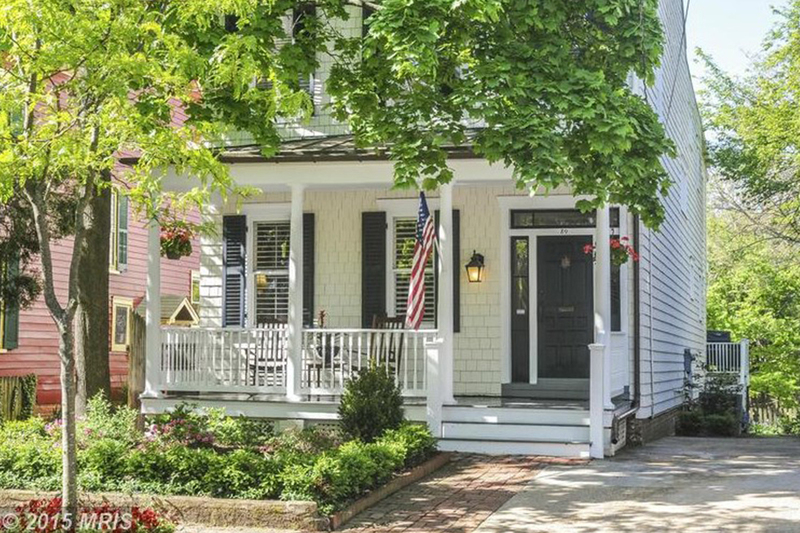 Spacious, detached and renovated 3 story shingled colonial built in the early 1900’s located on one of the prettiest streets in town! Parking for 2-3 cars, a charming front porch & a peak of Spa Creek. Stunning kitchen/family room with Marble countertops & custom cabinetry opens to rear deck. Heart pine floors, porches, plaster walls, 10 ft ceilings. Master in need of updating.